Let's take a look at how the campaign is unfolding. It began in earnest on Saturday, when Mark Zuckerberg posted an op-ed in the Washington Post calling for "new rules" for the internet. (If you could read this headline and not immediately begin humming Dua Lipa, you're stronger than I am.) Zuckerberg calls for regulation in four areas: "harmful content," election integrity, privacy and data portability. In each case, the message is the same: we've done a lot of work already, but there's not global agreement on how to handle these issues, and it would be better for everyone if there were. Zuckerberg takes the offensive here by asking other companies to act as Facebook has — publishing regular reports on the removal of "harmful content," for example. He offers concessions, by acknowledging that Facebook currently has "too much power over speech" and calling for privacy legislation modeled on the European Union's General Data Protection Regulation. The day before Zuckerberg's op-ed, the company had posted a new commitment to protecting EU elections from interference and released a searchable archive of all advertising on the platform. Monday brought new pro-regulation interviews with Nick Clegg, Facebook's new head of policy, in Bloomberg; and Kevin Martin, Facebook's vice president for public policy in the United States, in Axios. Zuckerberg traveled to Germany, where he sat for an interview with Axel Springer CEO Mathias Döpfner and met with elected officials. (Watch it before a mysterious Facebook bug deletes Zuckerberg's post!) The company also began to solicit input on the development of its oversight board, which will resolve disputes in content moderation. He's now on his way to Ireland, where he'll meet with members of the International Grand Committee on Disinformation and Fake News. You know, in News Feed, primarily people come to the service to connect with friends, to get updates on people's day to day lives. There's a lot of news content in there because it's so important. But there's a lot of people who have a demand to want more news ... I think there are going to be, call it 10, 15, maybe 20 percent of people in our community, who really want to go deep and have an experience which is — that they can go to that's all news that will give us hopefully the ability to dramatically increase the distribution and, if it's successful, the monetization to high quality participants in the ecosystem so that's something I'm personally excited about. Once again, Zuckerberg takes the offensive (with a surprise announcement), makes a concession (in the form of revenue to publishers), and maintains control of his platform. Publishers' news will still appear on Zuckerberg's terms, in the tab and placement of his choosing. Döpfner valiantly pushes Zuckerberg on letting publishers use Facebook to develop a direct relationship with their customers — but the company may never feel incentivized to do so. Chaos, as we learned from a certain show about to come back for its final season, is a ladder. To watch Facebook's regulatory offensive over the weekend was to watch Mark Zuckerberg scrambling up it. In a video confession published by the S.B.U., Ukraine's domestic intelligence service, a man it identified as the Russian agent said that he resided in Kiev, Ukraine's capital, and that his Russian handlers had ordered him "to find people in Ukraine on Facebook who wanted to sell their accounts or temporarily rent them out." "As I learned," said the man, who was not identified by name, "their goal was to use those accounts to publish political ads or to plant fake articles." As a September 2018 BuzzFeed News feature showed, in the Philippines, much of the extreme political rhetoric on Facebook props up Philippine President Duterte's authoritarian reign. According to Gabunada at the time, from the very beginning of Duterte's presidential campaign, Facebook was an essential tool for Duterte fans to freely spread coordinated messages on Facebook — especially because, thanks to deals that the company struck with local carriers, Facebook is free to use in the Philippines for anyone who has a smartphone. During Gabunada's interview with BuzzFeed News, he dubiously insisted that the engagement was "organic" and "volunteer-driven," and also said Duterte's campaign purchased no Facebook ads and only occasionally boosted posts. Trump's spending in early 2019 was more than the Democratic campaigns combined, but he has been out-spent by some candidates in recent weeks. Former Texas Rep. Beto O'Rourke out-spent Trump two weeks ago, dropping $157,000 on Facebook compared to Trump's $109,000. Last week, Sen. Amy Klobuchar, D-Minn., spent $198,000 to the president's $150,000. You've probably already read this remarkable piece from de Becker about his investigation into the theft of Bezos' personal information, but I wanted to note here that I had looked at the case for Saudi Arabia's involvement in the issue back in February. But some members of the new board drew immediate scrutiny, especially Kay Coles James, president of the conservative Heritage Foundation. On social media, some characterized the decision as an attempt to cater to conservatives at the expense of true expertise in the field. By Saturday, one AI expert who was invited to the board had dropped out, vaguely noting that it may not be "the right forum" for the work. Privately, several Google employees were also livid about the decision to include James, according to sources familiar with the discussions. On internal message boards, employees described James as "intolerant" and the Heritage Foundation as "amazingly wrong" in their policies on topics like climate change, immigration, and, particularly, on issues of LGBTQ equality. A person with James' views, the employees said, "doesn't deserve a Google-legitimized platform, and certainly doesn't belong in any conversation about how Google tech should be applied to the world." Kevin Roose has a productive interview with Neal Mohan about YouTube rabbit holes. Mohan's conclusion is that, um, not every single person winds up becoming radicalized? OK.
MOHAN: What I'm saying is that when a video is watched, you will see a number of videos that are then recommended. Some of those videos might have the perception of skewing in one direction or, you know, call it more extreme. There are other videos that skew in the opposite direction. And again, our systems are not doing this, because that's not a signal that feeds into the recommendations. That's just the observation that you see in the panel. I'm not saying that a user couldn't click on one of those videos that are quote-unquote more extreme, consume that and then get another set of recommendations and sort of keep moving in one path or the other. All I'm saying is that it's not inevitable. Censorship is proving to be a lucrative business for People.cn, the digital arm of the main propaganda outlet for China's ruling party. Lusha Zhang and Ryan Woo have a nice report on how stifling dissent is making a handful of people rich. "You're in constant jeopardy of making a wrong decision and being penalised for it. That multiplies the stress when you're looking at difficult content." Facebook's most shared story of 2019 is a 119-word local crime brief from Central Texas. While Facebook couldn't confirm exactly what aspects of its algorithm helped the story on its way, Savage's crime brief appears to have ticked nearly every box that the social network is trying to prioritize. First, it was shared by a local news organization, making it more likely that people in the Waco area would see it at the top of their feeds. Second, it generated large numbers of comments, which Facebook counts as "meaningful interactions." 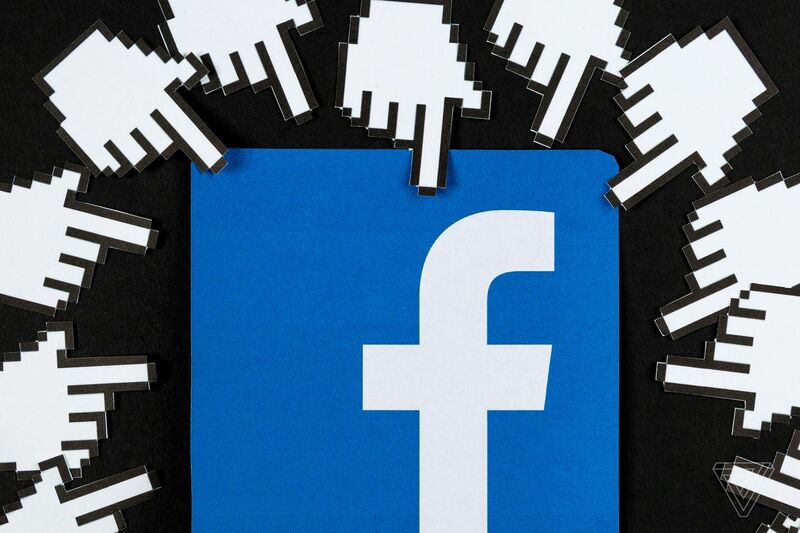 Finally, its sharing was driven heavily by individual Facebook users, rather than by professional publishers with large followings, which means that it would be helped along by the company's focus on surfacing posts from "friends and family first." But the wild card may have been the story's headline. While it was clear from reading the story that it was about Waco and Central Texas, the headline just said the predator was in "our area." Anyone who read the headline without reading the story might reasonably have thought the story was about their area, even if they were far from Texas. TikTok, which is good for wasting time at work, has become "become an unlikely force for labor visibility," John Herrman writes. "The app has become the default way to connect with new friends, dates, or business contacts," Taylor Lorenz reports. This week at The Verge we're looking at the lives of creators as they navigate the task of building businesses on secretive, all-powerful platforms. There's lots of good stuff at that link already, and new stories will appear all week. After the New Zealand shooting, ISPs were wrong to block 8chan. Here's why. The Christchurch video is horrific. Platforms—especially massive, popular ones that attract hundreds of millions of users—should do everything they can to keep their communities safe. But the overly broad blocking of entire websites by internet providers, which operate at several layers above the platforms, isn't going to make the horror disappear. It could strengthen these communities—and assign unnecessary powers to companies that no one asked to do the dirty work. In the sea of viral clips of Alex Jones, he always appears larger than life — and, crucially, in tenuous control of whatever narrative he's spinning. That control is largely the source of his power over his audience, his employees and his critics. But this new set of viral clips busts the myth of Alex Jones, presenting him in a situation he can neither engineer nor spin. He's a man who has lost control of the narrative. Measles is the original measles vaccine. It's a natural method that's been around for centuries. It was good enough for my mother and my mother's mother and her mother before her. After pulling through a coma at the age of seven, Grandma Alice was stronger than ever despite the hearing loss and brain swelling. Nothing builds character like encephalitis. Vaccinating with an airborne virus might seem a little unconventional, and according to my child's pediatrician, Dr. Wong, "completely cuckoo," but that's just one person's opinion backed by numerous peer-reviewed scientific studies. The literature on Facebook and Reddit tells a different story, and honestly, there are way more people on Facebook than the American Medical Associations' website, so you tell me who the experts are.